Race #5 of 9 for the series is in the books. The second of the Clay portion of the series was held at The Track in Gaithersburg, Md, home of the 2017 ROAR 1/10th scale Electric Nationals. The buzz leading up to this race was good however the nice weather got a lot of people heading outdoors to race this weekend. Our race program ran very smoothly and everyone had a great time. At the end of the day would we finish with 84 entries. 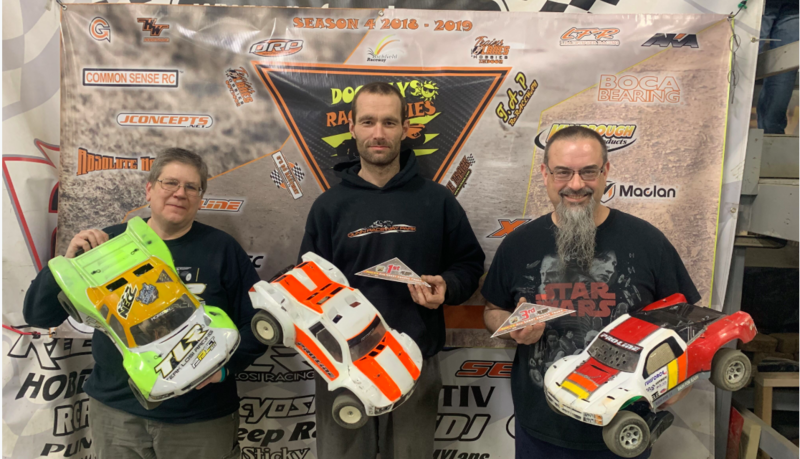 Next up is Race #6 at Adrenaline RC Raceway (host of the 2019 ROAR 1/8th scale Electric nationals) on April 27th, 2019. This will be the finale in the 3 part Indoor/Clay Mini-Series. We’re hoping to carry the momentum from previous races into this and see a great turnout for this one as well.